Pour pomegranate juice into ice cubes trays. Freeze until solid (about 2 hours). Pop the cubes from the tray. 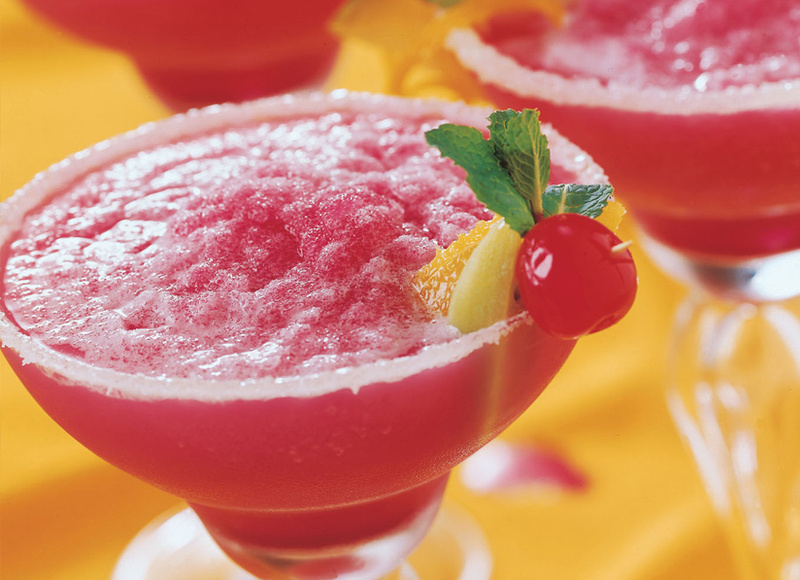 In a blender, combine lime juice, pomegranate juice, and tequila. Turn the blender to the highest speed, then gradually drop in all but 2 cubes, whirling until slushy. Wet the top of the serving glass, and salt the rim. Place a pomegranate cube in the bottom of each glass. Pour margarita mixture in, and enjoy.